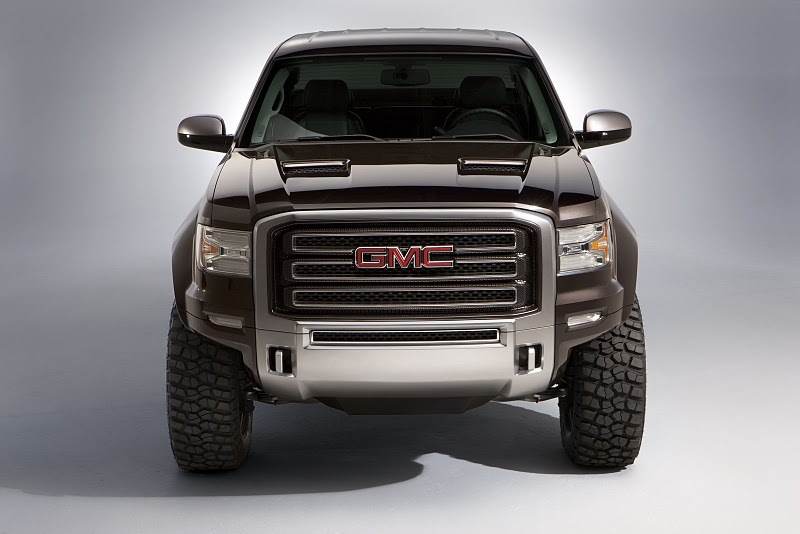 The 2011 GMC Sierra All Terrain HD concept is an exploration of heavy-duty truck capability combined with greater off-road versatility. It is highlighted by a bold exterior design, enhanced all-terrain suspension and premium details expected of a GMC – all designed to enable greater access to off-road destinations. 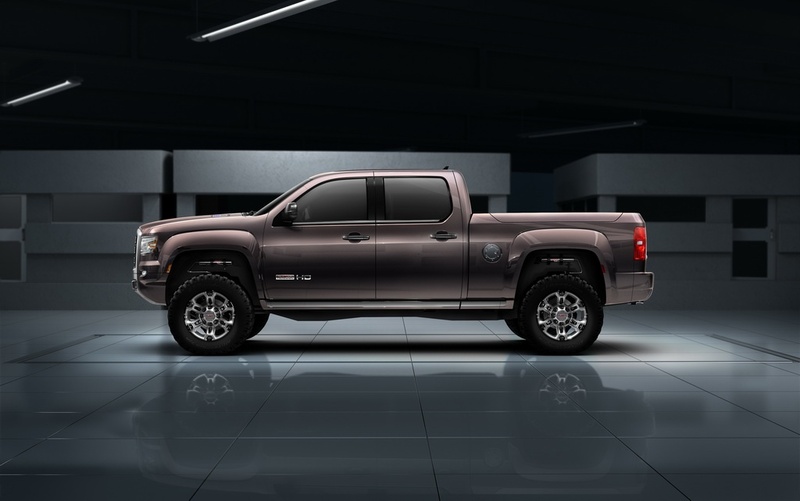 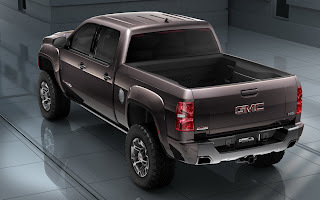 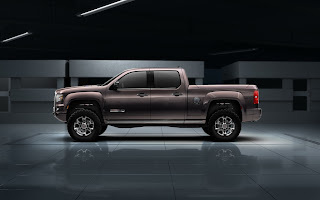 The new 2011 GMC Sierra All Terrain HD concept underpins the All Terrain HD concept, with a modified, production-based 4WD chassis and the Duramax diesel/Allison 1000 six-speed powertrain. 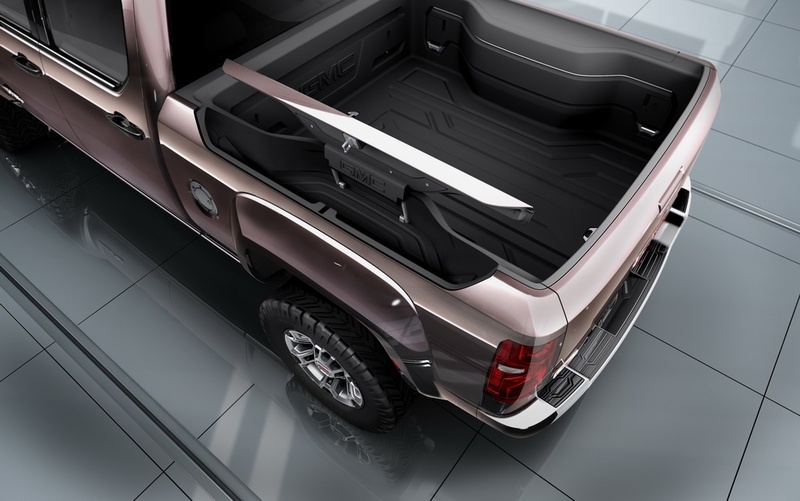 The enhanced suspension and unique body dimensions, including increased ground clearance and wider track, as well as greater approach/departure angles, deliver off-road capability while maintaining HD levels of payload and trailering capacity.